Everyone is a fan of something. We’re a fan of everyone. We’ve got spirit, yes we do. We’ve got spirit, how about you? Fan in a Box was developed based off one simple fact: people no longer want to receive a white plastic bag or envelope. We are athletes. We are parents. We are proud alumni. We are fans. We are dedicated employees. Our goal is to provide our customers with unique opportunities to grow their brands and enhance fan experience.  Fan in a Box has developed an innovative way to pair custom packaging with promotional products to market and brand your organization. The box is more than a marketing tool, it’s an opportunity to create a lasting impression of your organization through the mailbox. 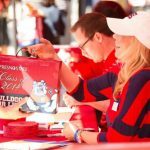 A fan should be connected to their team, brand, school, place of work, local organization – we’ll help you make that connection through custom alumni, athlete, fan, and corporate promotional gifts. The View finder was the mechanism and the nine reels told the story. 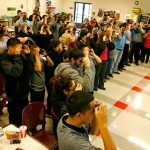 It turned out to be one of the most fun and rewarding promotions to date. The best way to welcome new students to your campus is with a Fan in a Box Welcome Kit. Tim and his staff designed a Welcome Kit for our 2013 Welcome Days event and it was a huge hit. We just received our Fresno State Game Day in a Box in the office. That is, without question, one of the coolest things that has ever happened in this office. We are having a draft later today for the items in the box. Great work and go dogs! Fan in a Box provided us with a one-stop solution for product design and marketing materials for our Grad Fest. Each product they have developed is completely customized to promote your brand and meet your specific fundraising and engagement needs. 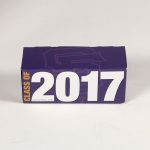 Over the last four years, we have raised over $100,000 with our Grad Box promotion to seniors. Literally, anything is possible when you 'think inside the box'!